I had the pleasure of meeting Chris several years ago when he and I were scheduled to speak at the same program. He is an outstanding speaker! His was a hard act to follow. His talk was extremely well delivered, inspirational with just the right touch of humor. You find yourself wanting more when the talk ends. I am equally impressed with Chris’ writing ability. It is the kind of writing that makes you think, “I wish I could write like that.” He wrote an essay on New Year’s Day that I have forwarded to folks all over the country and a few out of the country. I have seen how Chris relates to people in the audience, the folks who come up to talk to him afterward and how he seems to instinctively know what they are asking that is not spoken. He is a hero and one the world badly needs. How lucky are those college students who have access to him. What a role model to have at this time in the world. It is my pleasure to recommend to you my dear friend and colleague, Chris Maxwell. I have known Chris for about a decade as a respected colleague in ministry, but have truly gotten to know Chris as one of my dearest friends over the past eight years as he has served together with us at Emmanuel College. For the past several years we have met weekly for private times of sharing life, family, encouragement and prayer. I trust him implicitly and value our friendship greatly. Chris is nothing short of amazing. His passion for life and love for people are infectious. He cares deeply and it shows. Chris is a hard-working, dedicated servant of God and others. While he doesn’t wear his religion on his sleeve, his faith in God is the primary driver of all he says and does. He is a constant source of encouragement to me and all who know him. Chris engages in the lives of the students, faculty and staff of Emmanuel College. He invests relationally in our lives by entering our world at meetings, ball games, concerts, services, service projects, campus events, social gatherings, and informal times of fellowship in various settings. Chris has gotten to know my family, many of my friends outside the college, and has spoken numerous times at the church I serve. He is that friend I can (and do) call at any time, text constantly, and trust completely with the deepest concerns of my life. Chris Maxwell is a team player. He understands and values the true meaning of team. Having served on various committees together, I have witnessed his professionalism, commitment, collaborative skills, strategic planning abilities, diplomacy, and leadership capacity. He loves to plan well into the future and dream about possibilities. He is visionary. His positivity provides encouragement for the organizations he serves as well as the individuals serving with him. Chris adds value to everything he touches. He has a true knack for helping others. He is an effective counselor with students and staff. He can be trusted to hold things appropriately in confidence. He manages his time and responsibilities well. Chris communicates amazingly. He is one of those rare individuals who can express his ideas beautifully equally well in his writing or in his speaking. He is a true artist as he paints verbal pictures of meaningful, penetrating truth. Finally, Chris Maxwell is a family man. He and his wife, Debbie, are wonderful parents. Their love and commitment to each other are inspirational to all who know them. 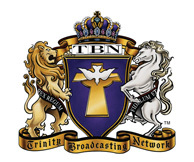 Their family is a glorious legacy of their faith and exemplary living. In short, Chris Maxwell is one of the people I would point out as a ‘sure thing’ or a ‘solid bet’ to add value to any organization. He is that no-brainer hire who comes along on rare occasions in life and business. I am completely confident that you would never regret adding Chris to your team. I give him my highest possible recommendation. In his writing and speaking, Chris Maxwell calls us to action. Not the busy, harried, frenzied action so common to our society and our own existence. He coaxes us to a gentle kind of action that results when we pause to take in the deeper things of life and “actively” appreciate the simple yet profound moments we often miss. Chris knows both types of action. He juggles many demands in his packed schedule—as a sought after speaker, writer, and interview subject, in addition to his work as Campus Pastor to a college full of young minds and tomorrow’s leaders, and, of course, author. Yet, he still finds time to take in the world around him with wonderment. This letter is in reference to Chris Maxwell, pastor, author, and friend. I’ve known Chris for a few short months and have had the privilege of having him befriend me. I have also observed him in numerous different situations and environment. To say that I am an expert in human behavior and relationships, simply because I hold a doctorate in psychology, pales in comparison to depth, knowledge, and passion to that of Chris. Watching Chris maneuver through a crowd and touching the lives and hearts of each person he comes in contact with is a rare gift. He is genuine, real, and without pretense, which endears people to him within the matter of heartbeats. Chris is simply gifted at putting people at ease, which allows them to open their hearts to him. Chris has shown integrity and boundaries in his approach to the students at Emmanuel. He shows a level of insight into the hurting student, while never attempting to alleviate pain, but gently guides each student through a journey through pain showing them that there is light at the end of the tunnel. He gives hope to the broken and a shoulder to weak. He reaches past race, gender, and current painful situations to touch the heart of those he is called to serve. I’ve had the privilege to observe Chris and his interaction with his family. What can I say about this man, other than I would love to be the kind of father and husband that I’ve seen him to be. His children love him, not because of what he gives them, but because of the time and care that he shows them. It is rare in my profession to be able to find a man such as Chris. He shares his weakness, but never wears them on his sleeves. His weakness is a badge of honor, not from what he has overcome, but for what Christ has done through him. He never hides what he cannot do, but he has a hope that when he cannot, that God can. Please consider his proposal with prayer. Truly, you have an author with integrity, passion, and ultimately love seeking for a way for his voice to be heard outside his ministry at Emmanuel. Blake Rackley, Psy.D. We recently hosted Chris Maxwell at the Church on the Hill on a Sunday morning. Chris Maxwell is a consummate story-teller. Chris’ engaging style weaves the truth of scripture and his own amazing journey into a compelling presentation. We were provoked and inspired to PAUSE by both the message and the messenger. Chris Maxwell has been a friend of our church and myself for the past two years. Our friendship began when Chris’s son, Taylor, began leading worship for us at our church. Taylor introduced me to his dad over breakfast one morning, and it was during that initial conversation that I immediately felt his heart for mentoring. We invited Chris to speak to our church tribe on July 18, 2010. His message that morning was one that has impacted us deeply as he spoke of his personal testimony and the way God used all the circumstances surrounding that for His glory. We thought so highly of Chris as a man of God, and as a communicator, that for Christmas we purchased and handed out a copy of his book, “Unwrapping His Presence”, for every attendee at our Christmas service. The book itself was relief for the soul in both creativity and content. 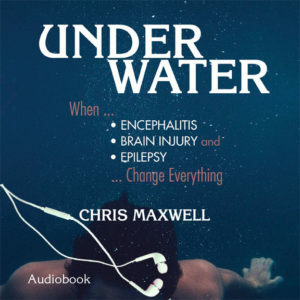 I met Chris Maxwell by “pre-ordained accident.” He reached out to me as someone suffering from epilepsy while I was working to change thinking about this dreadful disease. I didn’t know his name on my phone message list so it languished there for several weeks. When we finally communicated my life changed. And so did thousands of others. I had a platform with not much to put on it. Chris had a message. Don’t give up. Don’t give in. Don’t doubt yourself. You can make a difference. I watched him deliver this message in many states in the US, in Tokyo, and in South Korea. I watched people of different cultures, experiences, stages of life all nod in agreement when Chris talked about change and hope and progress. I watched believers and non-believers see a Christ-like spirit of love, kindness and grace encourage them. I witnessed Chris change the lives of hundreds of people across the years…just because he had the courage to encourage. Chris’ only tool in this journey was words – words that put just a little piece of himself into their hearts. The piece of himself that said “It’s ok…it’s all going to be ok.” His writing is an extension of Chris and it will put a little piece of him into your heart as well. Just as I have learned to drink in every minute I get to share with Chris, I encourage you to drink in his words. Just like me, your life will be changed. Please allow me to highly recommend to you Chris Maxwell. I have worked with Mr. Maxwell in a variety of capacities over the past twenty years. I know him first and foremost to be a man of incredible character and compassion. In addition he is an outstanding communicator. Specifically, my company has hired Chris to serve as senior editor on a number of book publishing projects. In my former role as a curriculum development specialist and publisher, I hired Chris to develop curriculum for various age levels. I have also had the privilege of serving as one of Chris Maxwell’s publishers. He is a gifted writer and author of multiple books. For a season Chris was my pastor where I served as his worship leader. I have watched Chris go through difficult and challenging seasons with incredible grace, strength and courage. I have watched him reach out to and serve people with uncompromised compassion, empathy, wisdom and strength. Chris has a way of connecting with people of all ages, socio-economic strata, cultures and faiths. He is a consummate people person, communicator and friend. Chris Maxwell has come a long way. His entire speech center of his brain was almost completely wiped out by an infection of his brain causing encephalitis. He couldn’t speak or communicate. His story is one of perseverance and the willpower of the human spirit to overcome obstacles. His faith also gave him the spiritual guidance to succeed. The fact that Chris is now a prolific writer and speaker is a testament to his intestinal fortitude. If you saw his MRI scans, even today, you’d be amazed that we are talking about the same person. College students now are lucky to have Chris influencing their development into adulthood. Hal S. Pineless, D.O., F.A.C.N. My name is Sean Williamson and I am the Director of Counseling and Career Services at Emmanuel College in Franklin Springs, Georgia. I have known and worked with Chris Maxwell since January of 2008. I consider him not only a colleague, but a friend as well. We spend a great deal of time together in a formal capacity – meetings with our organization, meeting with students together, and planning events. But I am also privileged to know the private man as well – often just sitting and talking with each other. Chris is one of the most conscientious people I know. He is a man of his word. When he says he is going to do something, it gets done. I have seen him work diligently on many projects, putting in extra hours to make sure it is done right. He is also a meticulous planner. Chris loves to make sure that things are in place for any project or event well ahead of time, and he checks and double checks that things are set up correctly. One of the things I most admire about Chris is his integrity. He is the same man in public, on stage, in his office, in front of a classroom or at the pulpit, as he is in private. His concern for people and their wellbeing comes through in every area of his life. I don’t mean this in a way that would portray him as a “yes man” or passive in any means. Chris will fight for what he believes in. He will confront where confrontation is needed, but always in a way that is assertive, not aggressive, and always to bring about health and wholeness. As our church, Royston Baptist Church, was preparing for a special emphasis weekend highlighting our churches involvement with special needs children and adults we were hoping to find a creative person to preach. Chris Maxwell immediately came to the forefront of several peoples mind. Chris is a talented and dynamic speaker. He is genuine and creative in the way he shares the gospel. Chris radiates the love of Christ when you are near him and has a contagious personality. All of these are excellent reasons our church could have asked him to speak, however, there is one more reason that made him the perfect candidate for our event, Chris has epilepsy. Chris shared beautifully his story as a member of the special needs community. Chris shared his life journey from before he had epilepsy, when he first suffered from epilepsy, up to the day of the event and how he glorifies God as someone who lives with epilepsy every day. It was a beautiful service and it would not have been the same if Chris had not shared his journey with the members of Royston Baptist Church. If you are looking for someone to share his heart, his journey with God through the ups and downs, and most importantly the testimony God has given him Chris is the person for the job! There is no way I can put in to words the impact that Chris Maxwell has had on my life on a personal level. He is a great friend, a shining example of Christ for all to see, and a constant encouragement in all times! He is a true inspiration! He cares about all people and when you talk to him, you can truly see the abundance of Christ is in his heart! I’ve known Chris for eight years and grown to love him and his family. He is a tremendous man of faith! Chris is one of the best speakers that I have ever heard! He speaks with emotion, humor, intensity, charisma, and the love of Christ! I would recommend him to anyone!